So you're saying that a magnet interacting with a magnetic field does not conserve momentum? Of course it does! I don't believe such a situation conserves momentum. Imagine a universe in which only a single charged particle and a single electric field, defined over the entire universe, exist. This particle will accelerate endlessly, gaining momentum, with no creation of any opposite momentum, either physical or EM. This is no different than a magnet in a magnetic field. Without a field source, there is no guarantee that the interaction of an arbitrary field and some object being acted upon conserve momentum. By drawing a boundary such that a field source is ignored, a net gain in momentum seems possible. The photons that are exchanged between the two magnets causes them to "attract" not repel, so conventional "logic" would say they are conveying the momentum in the wrong direction. To understand this, you must consider not only the Amplitude of the field, but also the Phase, North vs South. This is where everyone is missing the mark, like Greg Egan using time averaged sin and cos, ignores the relative instantaneous phase and resulting interference pattern of the superposition. You see, this is where I still don't understand where you are coming from. To use your two magnets pulling towards one another analogy, the apparent gain in momentum from one magnet was exactly cancelled when we chose a larger, more inclusive boundary with which to perform our momentum accounting. So with the emdrive moving forward, what is it in your theory that moves back? Our is it that the whole universe is not a large enough circle with which to account for momentum, and thus momentum is gained in another dimension/exotic field? At the end of the day, phase, superposition and interference are all classical effects. Nothing special there. So what circle do I need to draw around the EMdrive, and what fields do I need to consider, such that I end up with a momentum that is equal and opposite the physical momentum of the drive? Hahaha, well I'm sorry to hound you like this, but I suppose my immediate question is: From where does this momentum that flows into the boundary come from? There is still momentum that is not accounted for. Does it come from the microwaves? Then the force on the cavity is balanced by the force on the magnetron, so no net force for the entire device. A non-zero divergence to the poynting vector, when averaged over time, is correct, but the poynting vector is a flow of power (hence the non-zero divergence ought to be rather intuitive). When we divide the poynting vector by c2, we have the linear momentum of the EM field. For a constant force on the emdrive, it is not enough to have non-zero poynting vector. You must have a poynting vector that grows such that its time derivative is equal to and opposite the force on the emdrive. Without that, I do no understand how there is any sustained force from any EM field, no matter if it is radiative/reactive or constructive/destructive. In conventional physics, it is clear that the momentum of the radiation injected into the cavity produces a back reaction upon the source of that radiation. Therefore if you put a box around [source + cavity], where the source includes a portable power supply (e.g. battery) - then the net momentum of the system is zero forever as viewed from outside the box. If there is a radiation leak, thrust no greater than P/c ("equivalent photon rocket") may result from such a system, including thermal effects originating from the input power P.
2. The claim is made that the magnitude of the thrust causing this movement exceeds the maximum expected thrust of the equivalent photon rocket by orders of magnitude. Thus any successful attempt at explanation will not use conventional physics. If you attempt to explain this effect with conventional physics alone, you have made an error. Thank you, thank you, thank you. Exactly. But we've covered all of this literally dozens of times up thread. Pretty please, don't rehash what we've already covered ad nauseum, and instead focus on what we haven't covered so that the thread doesn't loose meaning or focus. Every few weeks this thread has a collective breather when someone yells "Unicorns don't exist!" then the lurkers ask a bunch of newbie questions, and then we go back to researching while the audience listens quietly. Agreed! Yes, we keep going in circles rehashing the same stuff over and over - and every time that an attempt is made to go outside of the dogmatic circle the thread is jerked back 'into place'. There are a few that manage to keep bringing their ideas up for discussion (thank you Todd and others) but the ideas get lost in all the 1/4 wavelength vs 1/2 wavelength kind of discussions. The answers lie outside the circle and it is certainly constructive to have such discussions. Thank you for pointing this out. I was wondering why nobody ever answers my question or replies to my suggestions. I had at one point suggested a pseudo-scientific thread for the EM drive in which out-of-the-box philosophies can be discussed. This way nobody get in eachother's way and the pure scientific thread can be clean as a whistle. Contrary to what you believe. QED tells us otherwise. A charged particle in it's ground state has a zero point energy. The vacuum EM field in it's ground state also has a zero point energy. Neither is "zero". They exist in equilibrium with a constant exchange of power. Power in = Power out. This is text book physics and it is true of every sub-atomic particle, even quarks "inside" a proton. That is CoM and CoE at the quantum scale. So yes, the interaction of a single particle obeys CoM and CoE with the field it is immersed in. Suppose we start with a perfect cylinder, that is perfectly conducting such that there are no losses at all. I then input microwaves at the resonant frequency, 50W for 100sec = 5000J of energy stored. I turn off the microwaves and since there are no losses and no attenuation in a cylinder, this 5000J of energy is stored like a perfectly tuned LC resonator. The linear momentum you are referring to, has been reflected bazillons of times over, resulting in a NET zero momentum. However, the standing wave that persists has a forward and a backward wave, each having momentum > 0, but in opposite directions. So can we agree we have a cylinder that has 0 NET momentum but has 5000J of energy stored as an oscillating EM wave that does carry momentum? The momentum of this wave is much larger than the 50W input, but it's not doing any work because a standing wave has 90-deg phase shift between the E and B fields. The "power factor" is zero. Now, suppose with the flick of a switch we can reduce the diameter of one end by 50%, turning the cylinder into a frustum. Suddenly the dimensions of the cavity have changed and the waves must phase shift to restore the boundary conditions. The phase shift of the forward wave is opposite the phase shift of the backward wave. This causes the power factor to shift away from zero, and causes an interference pattern that is required to do work on the boundary to equalize the pressure again. This was an extreme example, but what I'm trying to illustrate is how the momentum of thrust is decoupled from the momentum input. The input energy is stored as a standing wave. The attenuation of that standing wave favors one side over the other and as the phase shifts, the field does work on the boundary to balance the pressure. I'm working on the paper. What I posted the other day was a rough first draft. Thanks for helping me to attack the questions people will have. If one gets nothing more than the message that one observer's interaction and filters cannot affect the whole, its worth the time. Take a short break and absorb a little spookiness...it could make future postings here a little more interesting. I simply don't know enough about QED to comment on your first point, so I'll trust you on that one . We can definitely agree that the cylinder has 0 NET momentum but has energy stored as an oscillating EM wave that carries momentum. And that this oscillating EM wave is made up of the superposition of waves, each containing more momentum than the single 50 W photon rocket equivalent, we can also agree. But at the end of the day, all of the momentum within the cavity can be accounted for as coming from an equal and opposite momentum that must have been imparted to the magnetron or feed cable/antenna, because everything stated is just classical EM, and classical EM obeys COM. So when the end is shrunk, and the waves phase shift into a state with non-zero power factor and a subsequent non-zero poynting vector, surely you can realize no more force on the boundary from this attenuation than you originally supplied to those waves with your magnetron? In other words, averaged over some arbitrarily long time period, shouldn't your hypothesis result in a total thrust no greater than the equivalent photon rocket? If you had just opened one end of your cylindrical cavity, instead of flipping the switch of your diameter reduction device, wouldn't the result be the same? The sudden release of stored momentum gives a momentary thrust greater than a photon rocket, but time-averaged, nothing is gained. ...Yang is closer than anyone and simply didn't disclose the details, and used a poorly constructed example to explain it, but her force equation is correct "IFF" you plug in the correct field amplitudes AND phases. Simply put, it moves because inside there is an EM stress energy tensor that is skewed to one side by constructive and destructive interference with the source. It would have a lot more thrust if the balance were 50/50, but as it is, only a small percentage of the waves walk out of phase to cause the interference. So the standing waves dominate, and there is very little thrust. The percentage results in higher NET thrust for higher Q, but it would be a more efficient thruster if the percentage were higher and the Q were lower. Forgive me if I am wrong in assuming this but I suspect we are thinking in similar terms. I have been following and looked up the term for evanescent waves and it appears to be the same as the near field. It appears your suggesting that the evanescent waves are interacting with the light waves. However in reference to a later statement it appears the dimensions are small enough that we also have near field from the top possibly interacting with near field information at the bottom. Of course the light represents the speed of that information. The idea seems to be the geometry of the cavity is possibly causing the standing waves to be slightly out of phase with the currents in one of the plates (bottom/top) which leads to non-ideal Q but an imbalanced pressure for the near fields and light. My hypothesis I think is similar as it is based on the idea that information from the near field can not travel faster than light. If we have two circular plates parallel to each other and separated 1/4 lambda then we first start by accelerating current in the top plate. Information begins traveling toward the bottom plate. The bottom plate begins rotating its current such that it is attracted to the "apparent" current in plate 1. Light and near field information from plate 1 is now traveling toward plate 2. 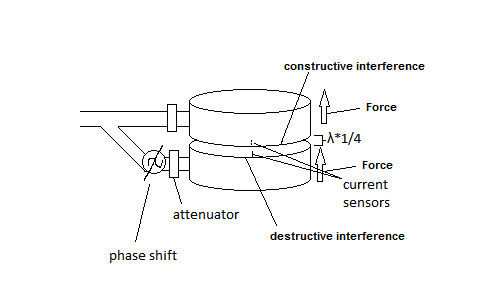 Plate 2 has now reversed current and it appears the current in plate 1 is rotating counter to its current so it is repelled. That concludes 2 steps in the figure "Fig1 Simple.png". You stated the EM drive may have trouble optimizing this imbalance in phase. What do you think of having two separate cavities near each other but out of phase such that the top cavity appears to be destructively interfering with the bottom while the bottom cavity appears to be constructively interfering with the top? See figure "EM propulse proposal.png" . Is this the same as your proposed separation of the (top and bottom) cavity for the EM drive or different? 7. Separate resonance and attenuation chambers. Purpose: Proposed by WarpTech as a test of his theory. Another hypothesis of mine is that if we are pushing off the near field then if it works and is greater than light pressure then we may be instead some how pushing off space and time since we are taking advantage of the fact that information must travel at finite speed (space/time) to get such a push. As far as I knew space time waves are different from electromagnetic waves in that space time waves are related to gravitational objects but maybe there could be a connection. The input momentum is "irrelevant". Say I have the brakes on, it is clamped to the bench while the cylinder in my example is being charged to 5000J. Once it is charged, we start from 0 NET momentum. We have 2 (not 1) EM waves. One moving forward with momentum p, and one moving backwards with momentum -p. Their SUM is zero, but the individual magnitudes are not. So when the end is shrunk, and the waves phase shift into a state with non-zero power factor and a subsequent non-zero poynting vector, surely you can realize no more force on the boundary from this attenuation than you originally supplied to those waves with your magnetron? In other words, averaged over some arbitrarily long time period, shouldn't your hypothesis result in a total thrust no greater than the equivalent photon rocket? No, not necessarily. I have a cylinder that is charged with 5000J of energy. How that energy is dispersed into the frustum has nothing to do with the input anymore. The "force" that can be exerted depends on the rate at which that 5000J can be attenuated, (Power spent) and the efficiency of the coupling between the 2 waves as they phase shift in opposite directions. If you had just opened one end of your cylindrical cavity, instead of flipping the switch of your diameter reduction device, wouldn't the result be the same? The sudden release of stored momentum gives a momentary thrust greater than a photon rocket, but time-averaged, nothing is gained. The idea that is referenced to me in the Wiki is that we have 2 cavities, one where the Q is optimized to generate a very high power microwave source. The other cavity is a long tapered waveguide that will attenuate the high power microwave once the shutter is opened to the waveguide. It will take me a while to read Dr. Pinheiro's paper. I usually agree with what he writes about, we've had correspondence in the past. I have not read this paper. Thank you. Interesting that you have corresponded before. I kind of know him but indirectly through one of my teachers and online posts. I actually came across the paper by accident while searching for information. Hello all. I have been following these threads for months but kept my silence, happy to watch the enthusiastic sharing of ideas brought forward. I just wanted to add my voice to phaseshift's post. Is there anything that can be gained from looking at Shawyer's superconducting frustum experiment? That has hardly been mentioned at all. This is his 2nd generation thruster (TheTraveller correct me if its not) that he claims is far more powerful and he has gone to a squared off frustum. Is this simply for ease of doing some of the math? Is it because working with superconductors is too difficult in a conical frustum? I could come up with a dozen more questions. My background is in electrical engineering so I have been mainly focused on the efforts of the experimenters in this thread. To me the Shawyer v2 superconducting frustum is vital in making or breaking this device. It's success would help settle concerns arising regarding experimental artifacts as well as help prove a direct relationship between the Q-factor and thrust. It would also help break some of the circular conversation by reframing the discussion from IF to HOW (and would help direct a LOT of the scientific community's attention to this phenomenon). What detective work has been done on this device? Any experimental data from Shawyer or others? At least, has Shawyer said unequivocally that it works and is in line with his expected results? How feasible is it for us to deduct it's construction and replicate one? I am assuming it is an order of magnitude more complicated to build. The lack of results about this device is driving me crazy I assume that is intentional and at the very least we will hear a result maybe this year but maybe we can do something in between. "Scientists have argued for more than a century about the momentum of light in materials," Leonhardt told Phys.org. "Is it Abraham's, is it Minkowski's? We discovered that momentum is not a fundamental quantity, but it is made in the interplay between light and matter, and it depends on the ability of the light to move the material. If the medium does not move, it is Minkowski's, and if it moves, Abraham's. This was not understood before." The findings have both fundamental and practical significance. Fundamentally, the results help scientists gain a better understanding of the nature of light. While it has long been known that light carries both energy and momentum, and that the energy of a photon is quantified by its frequency f times Planck's constant h, the momentum of light has not been so easy to describe. Does the momentum increase or decrease as the refractive index of the medium increases? The results here suggest that the answer depends on whether or not the light can put the fluid into motion: if it can, its momentum decreases and it exerts Abraham's pushing force; otherwise, its momentum increases and it exerts Minkowski's pulling force. The behavior in bold learns me that momentum transfer is NOT a fixed set of rules (as most of us have been thought) but on the contrary is very contextual, depending on a certain set of rules, that only appear to be simple and straightforward, but which is not always the case. It would strengthen the case for the EMdrive where many people confuse the "apparent violation of CoM" with the"violation of CoM". In the end, it may all be due to an incomplete understanding of CoM. In the case of the laser/fluid test it is not obvious to take the property of the fluid into account to determine the direction of momentum. that the wave produces an intense self-accelerating flow of energy (momentum)." I have been following and looked up the term for evanescent waves and it appears to be the same as the near field. "Usually, electromagnetic evanescent waves are some kinds of near fields (e.g., the ones in total internal reflec-tion). However, it looks as if the evanescent waves inside a cut-off waveguide had nothing to do with any near field. In this paper, by means of another way of looking at the guided waves, we will show that the evanescent fields inside a cut-off waveguide can be regarded as the near fields of an aerial array." I think the peer-reviewed paper is set to come out, that explains a lot. I guess I am a little bit confused by the abstract and the conclusion. abstract, "it looks as if the evanescent waves inside a cut-off waveguide had nothing to do with any near field. In this paper, we will show that the evanescent waves inside a cut-off waveguide can also be regarded as the near fields of an aerial array. " conclusion , "In this paper, we show that evanescent fields inside a cut-off waveguide are also identical with near fields, owing to which, in fact, many theoretical and experimental investigations have presented a conclusion that the eva-nescent fields of the electromagnetic field can superlu-minally propagate [4-9], which are also due to the super-luminal behaviors of near fields and does not violate causality." Ok, so maybe in the conclusion they mean they are like evanescent waves of an aerial array but the near field propagates faster than light? I'm not sure I can bring myself to swallow that just yet.